The United States of America is being run by a cabal of fat racists who sundown at all hours of the day. This state of affairs has left us with precious few things to laugh at, but one of those things is the internet’s dedication to making fun of White House chief strategist Steve Bannon, who looks like he knows how to get away with masturbating in public. 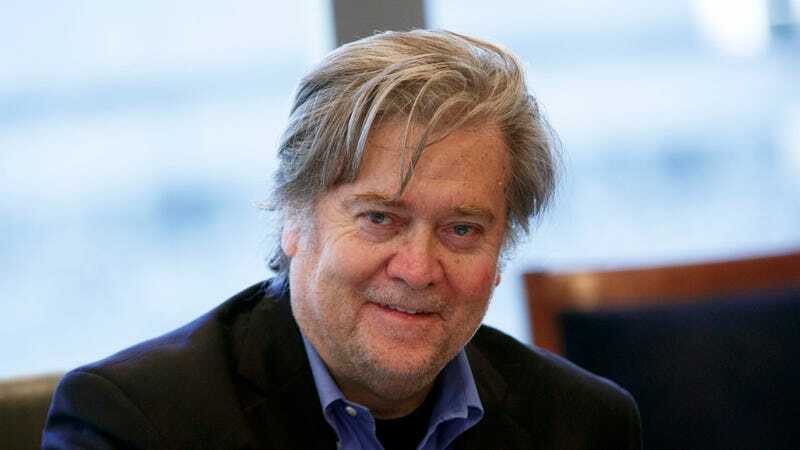 Steve Bannon looks like a down-on-his-luck bagpipes player.